Great look and very appropriate for daily wear, business casual, meeting friends, etc. However, I would like to hear the OMG viewpoint regarding dressing for the occasion. Would you wear the same to go to the garden center to buy two dozen plants and several bags of soil? Just as I assume you would not go black tie to the supermarket, I assume you might dress dress down for the former occasion. Don’t misunderstand Byron, the examples you show on your blog really are great, but I think that where and when to dress the part is just as important. As I have said before, I do not really think of myself as OMG, but love your advice regarding civilized behavior and our need to return to that state. Hi Charles! 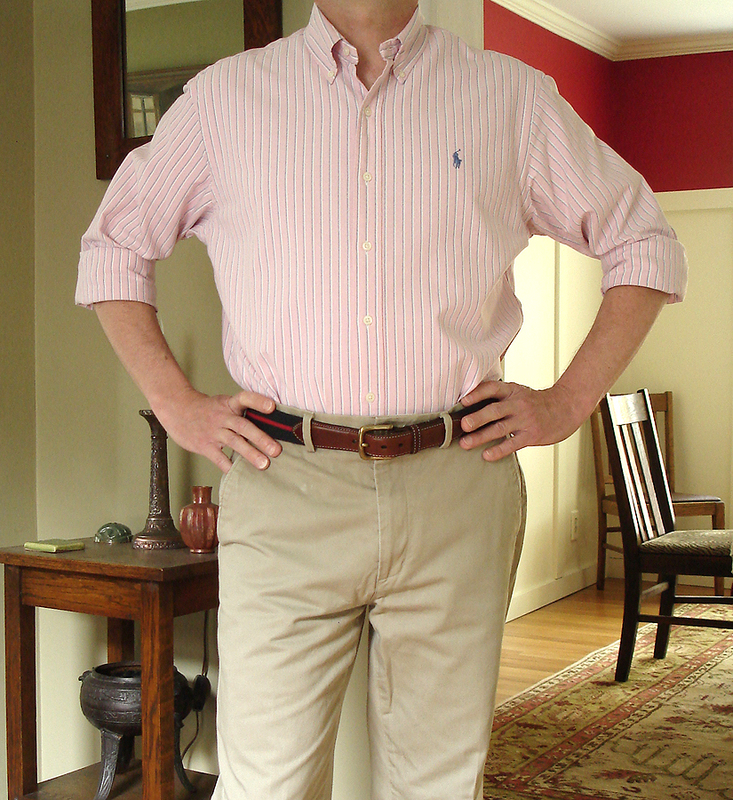 Many times I have seen men at the garden center wearing old oxford cloth button down shirts with frayed collars and well worn, comfortable looking khaki pants. I did not think they were overdressed at all. Good post! I think the above is sort of the base (at least for “these days”) from which all other modifications could be made. Dress down with a polo. Could switch to jeans for yard work. Dress up adding a tie and blazer… etc.